José Zaragoza, repurposed as Rubalcaba's shield, is going around Madrid saying that maybe the Catalans will be independent, but don't worry about it, because it will be independence à la Ukraine. The Ukraine, as you know, is formally independent, but absolutely Russianized, not just in linguistic terms but, what is worse, in mental, every day terms. And each day it gets worse. A Ukrainian Catalonia is a real possibility; Zaragoza didn't invent it. Because independence may be a push that separates us forever more from the inertia of doing things the Spanish way, or it may not. It will depend, definitively, on the decisions that we make as a people and especially, on the ones we make in the first three to five years. Yesterday Oriol Junqueras published an article in El Periódico in which he categorically declared that in an independent Catalonia, Spanish would be an official language. He didn't say it was his opinion, or that it should be, but rather he proclaimed, giving himself a surprisingly constitutional authority, that "with respect to languages, let's make it clear from the start, in an independent Catalonia, Catalan will be the country's own official language, the common language of everyone. But Spanish will also be official in the Catalan Republic. Obviously, just in case anyone had any doubts." Well, me, for example, I am full of doubts! In the first place, because I don't know what Junqueras is basing that opinion on. In fact, I don't even know if Esquerra Republicana will accept that Spanish is an official language of a Catalan republic or if this is a personal position of its leader. I also don't see the point of bringing up this debate just now, and less, in these terms. On the 25th of November, there will be elections to the Parliament, not constituent elections, or even less, a referendum on independence. Does Oriol Junqueras believe that this is the ideal moment to debate this question all of a sudden and by sowing discord among independentists? Because he'll have me, for one, radically and publicly against. I do not agree that Spanish should be an official language of the Catalan Republic. Simply because I believe that the official status of Spanish is a death sentence for Catalan. 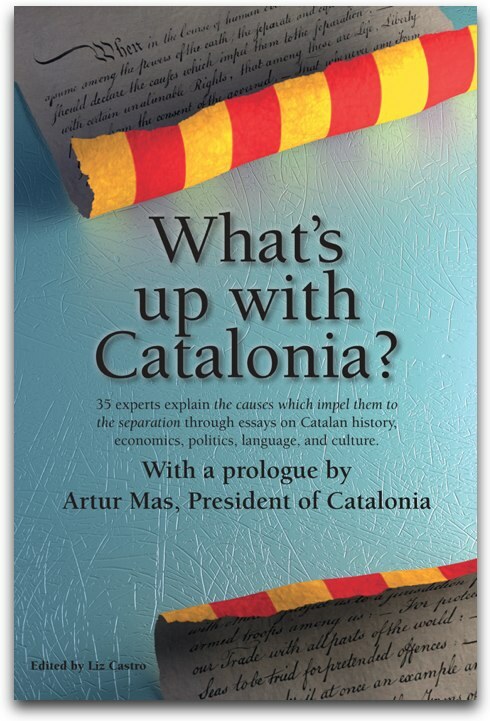 Or haven't we had enough with 30 long years of co-officialdom in Spain to understand where such a situation brings us? But, let me go outside the framework of language to demonstrate the two reasons why Esquerra's leader's attitude really worries me. I am against Junqueras' proposal because I want a real change of government, not just a change in labels. If independence is not able to get to the profound roots of our prostration and shake them up, then it's no good for me. I don't want the "autonomous" Catalonia that I have now, with all of its enormous deficiencies, given a fresh paint job and name. I want something else, I want a better country that is free of the tollbooths and vices of these last thirty years. I want to be done with the transition for once and for all, not consolidate it. And that can't happen without attacking the sacred cows of post-francoism, like this one of co-officialdom. And in the second place, because I don't want a limited few to continue making decisions on my behalf. I don't know what the rest of the people who demonstrated on September 11th think, but I didn't go out on the street so that they can tell me "you'll do what we say". And less still to accept that which I've heard given as an alleged argument, that since I've been an independentist all my life, I wouldn't dare go against their particular proposal for independence. In the end, and this is obvious and undeniable, independence will take the shape and the contents of what the people decide and everyone will accept it. It is more than likely, therefore, that independence will not be exactly that which we dreamed one day it might be. So, it's important to recognize with respect toward democracy that if the people want it, Junqueras' proposal might come true. But that recognition does not mean giving up the fight. And I, even if I am the only one, will fight so that Junqueras' proposal does not win, with the same persistence with which I have fought during decades so that this moment that we're living might arrive. And I will do so because language is one of the red lines that definitively separates the better country that I have always wanted to construct from the hypothesis of a Ukranian Catalonia. P.S. And just in case anyone thinks I'm avoiding the question. For me, Catalan must be the only official language of the Principality [Barcelona, Girona, Lleida, Tarragona], except in the Vall d'Aran, where Occitan should be the only official language. The same as right now in Andorra where Catalan speakers are a minority, but where no one is proposing any other model than the full official status of their own language. Given the situation, I would open to the possibility of an interim period in which special measures were applied for the other languages in some particular areas of the country — but never just for Spanish, and not for forever, nor for everywhere.